Hailing from south eastern France, L'OCCITANE's newest hydrating skincare collection has a beautiful story of origin. Each of the five products in the line are enriched with the water of Réotier, a supercharged mineral water that is free-flowing through the alps, escaping via a small natural waterfall. This fresh mountain water is very unique with its rich mineral makeup that includes 10 times more calcium than any other spring water in France. When the L'OCCITANE research team started to analyse this water three years ago, they couldn't help but ask #WhatsInTheWaterHere?! The alpine region of Réotier isn't located on the coast, though it could fool you into thinking that it is on the Mediterranean since you'll find traditionally coastal flora and fauna scattered throughout the area. The village of Réotier has a population of only ~200 people, but their stunning "petrified fountain" garners lots of tourism through the village each year. 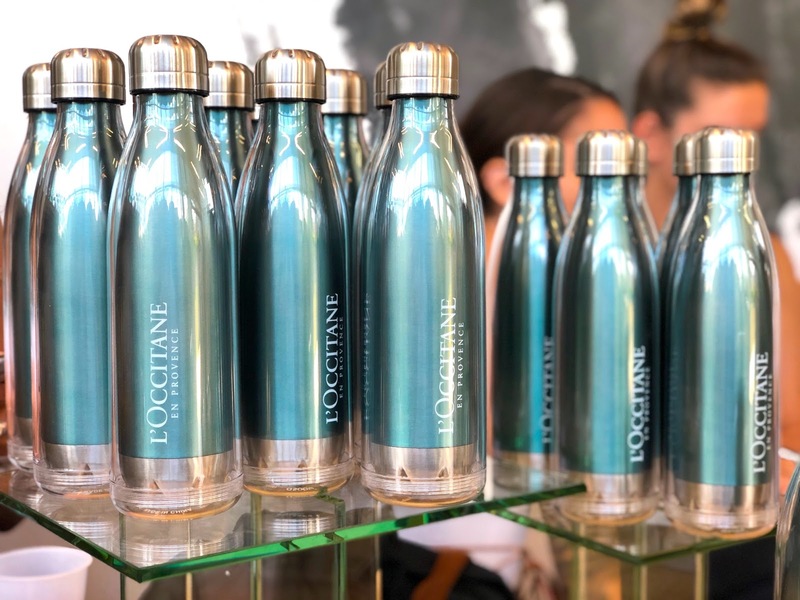 In researching the source at Réotier, L'OCCITANE has further identified the link between calcium-rich thermal spring water and water retention in the skin. They've realized that calcium is a key player in how the skin can retain moisture. They quickly got to work, and after three years in the making L'OCCITANE has formulated a simple collection of five, no-fuss hydrating skincare products which capture the sensoriality and biodiversity of Réotier. The collection works to deliver instant results for dehydrated skin, and those who are craving lasting hydration in their complexion. L'OCCITANE has received designations from the French government since through this new initiative they are supporting the rich biodiversity in the region, which may differ than other companies who sometimes overuse a natural resource to its depletion. There is a maximum amount of water that they are authorized to take from Réotier each year, to ensure that the brand is sourcing the water ethically. As for the gorgeous geographical elements of Réotier, you'll notice soft fountain basins which have been created as the water flows through the rock. The calcium is crystallizing and creating these amazing natural pools, which are ever evolving, and ever changing - just like our skin. The calcium-rich thermal spring water in this collection helps to promote water retention in the skin, especially in the upper-most layers of our skin. The cells, called keratinocytes, are critical to maintaining the integrity of our epidermis. This 5-part skincare line includes a foaming cleanser, a liquid essence, gel cream, night cream and a moisturizing mist. It is perfectly fit for the traditional Provençal outdoorsy person who wants a clean, simple routine. L'OCCITANE wants you to have a beautiful experience while applying Aqua Réotier, so these fast-absorbing, non-sticky, cooling textures are bursting with freshness and glide seamlessly over the face. A simple foaming gel cleanser that I use as a second wash in the evening. I first remove makeup with the Immortelle Oil Makeup Remover then follow up with this cleanser on a muslin cloth or face brush. It also works great as a quick and refreshing morning cleanse. I adore the convenient pump bottle and the gorgeous scent was formulated to capture the region of Réotier: notes of lemon, bergamot, sea spray, mint, greenery, rose and must transport you to the vibrant Alpine fountain. This K-Beauty style essence is applied with the hands after cleansing. You may use a toner beforehand, but it is not necessary. I'd highly recommend a double-cleanse as mentioned above before using this essence at night to ensure that your skin is very clean. This viscous liquid is applied with no cotton padm only on finger tips. It's as if a toner and serum had a baby! The super hydrating ingredients of this essence work like a water magnet for the skin, so simply tap and press the liquid over your skin to lock in moisture all day. I've reviewed two other similar products before: The Body Shop essence here and Paula's Choice essence here. The clear gel hydrator in this collection has little bubbles of trapped air whipped into the product, which is done through a process called "foissoner" - technology borrowed from the food industry. When it melts onto the skin you get that instant burst of freshness. This is an exciting launch since it's the first time L'OCCITANE has created a truly whipped gel. The whole range is 95%+ natural, and enriched with hyaluronic acid and glycerin. 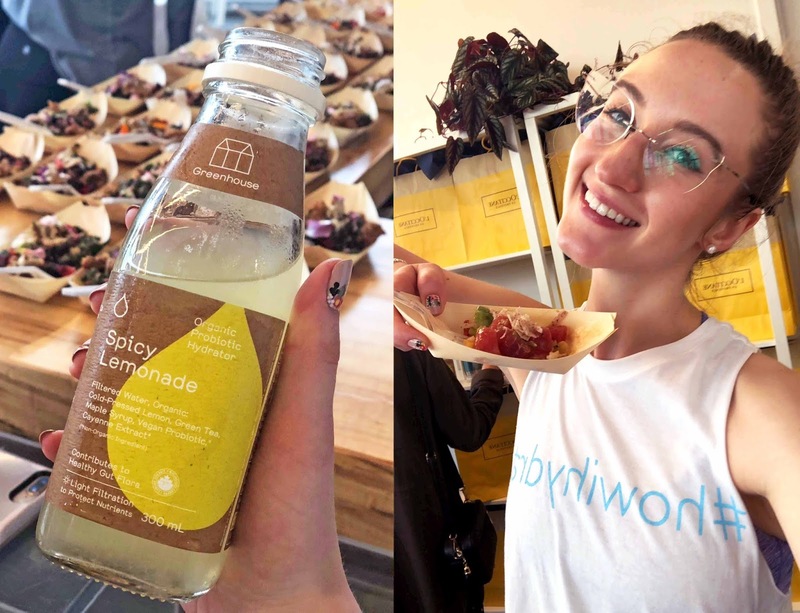 This ingredient cocktail promises 24hrs of hydration, with clinical trials to back up the stats. I like to use this gel hydrator in the morning, (you only need a bit!) or over the top of any other light cream to lock in that fresh, plump "just-moisturized" glow. Ideal for combination to dry skin, this thick gel cream is great for the evening. As a final step to your routine, apply the thirst-quenching cream over the entire fae, under the eyes, or on areas of your face where you may need a bit more TLC if you're pairing it with the gel mentioned above. I love using this cream on my shoulders, chest, neck and back especially after being out in the sun all day. It dries down with no oily or sticky finish and never clogs my pores. If your skin is feeling tired, use this under makeup for a gorgeous dewy finish. Finally, the cult-classic moisturizing mist. This continuous aerosol mist can be used in your routine before or after any of the above: after toner, before moisturizer, after essence, or even during the day. These thermal water mists are inherently refreshing, and prove to be the perfect solution to setting makeup and remove a powdery finish. The 50ml bottle travels well, so pick up one of these mists for your carry-on bag to keep your skin calm, clear, and moisturized during a flight. Buy the entire HYDRATING AQUA RÉOTIER CREAM COLLECTION here for $98 - I love this set since it includes a smaller jar of the gel, which is great for those of us with combo skin who flock to the cream more often than the gel! Locals will even stop by the fountain at Réotier to dip their feet in the water, treat their skin, and help combat diseases - much like the Vichy thermal water medical spa in France. The head of sustainable procurement at L'OCCITANE was one of the first to visit Réotier three years ago. He was stunned at the sight because he thought, for a second, that he must still be in Provence. He was also surprised at how small the natural source is in person. It took them two months of studying to figure out the water's incredible mineral composition, and they decided to continue this journey of discovery by officially partnering with the region for the next 10 years. L'OCCITANE is tracking this water at Réotier with hydrogeologists to better understand how the geothermal heat is creating such ultra-rich thermal spring water. The journey is between hundreds to thousands of years for the water to come through the mountains. But it's important to note that the water that comes out of the fountain is a mixture of both alpine-filtered rain water (newer) and geothermal water (older) which is being pushed up from deep inside the rock. L'OCCITANE is also working with naturalists to classify the flora and fauna of the area, since there is some really unique algae that doesn't seem to exist anywhere else in France. The researchers want to act like Batman while conducting this work in their "little nugget" of the alps - they promise that "you will never see us in the region" since they will not be present when tourists are enjoying the scenery. I have even more appreciation for the brand after learning this, since they clearly care just as much about the earth as they do their customers - you won't be seeing a L'Occi truck popping up at Réotier to disrupt the sublime beauty that many tourists go there to experience. L'OCCITANE is promoting the region, and not diluting it in any capacity. With price points at $35 and under, Kristina (chief teacher chez L'Occi Canada) mentioned that the collection is deliciously priced so it can appeal to everybody. 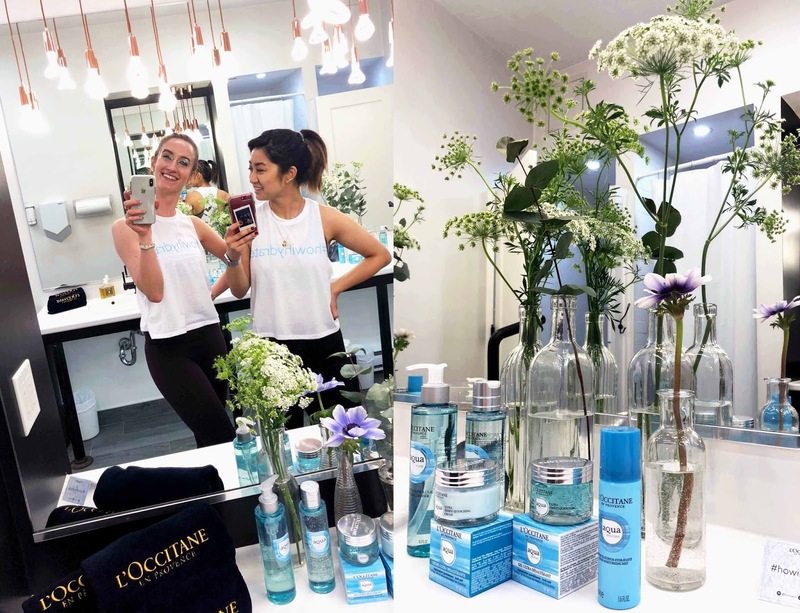 They are aiming to give everyone a chance to discover this collection and take care of their hydration needs. 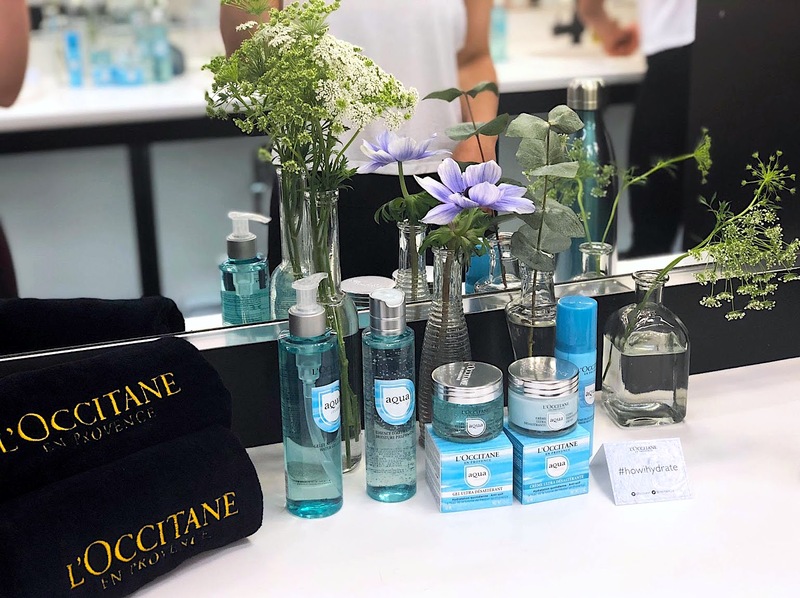 L'OCCITANE wants you to enjoy the precious little source that they're so very proud of, so make sure you head in store or online to request samples of Aqua Réotier for your skincare routine.